It’s one of life’s great mysteries. Why do so many people living in upscale subdivisions have mailboxes fit for an Old West ghost town? Posts are slanted like old tombstones, mailboxes are rusted, and the posts look like something you’d hitch a horse to. 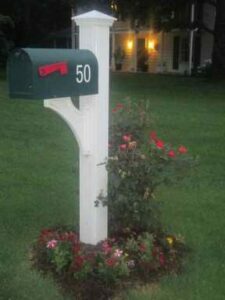 They spend so much time and money on flower beds, siding, and exterior painting, and yet the very 1st thing that 1st time visitors see, when finding the house for the 1st time, is a mailbox that makes a bad 1st impression.